Since 1982 we have been offering electrical services to the marine and offshore sectors. Since 1982 R Baker (Electrical) Ltd has been servicing the marine and offshore sectors. Our team has the ability to successfully deliver a wide range of offshore engineering projects which has resulted in us building a reputation for our dedication to cost effective engineering solutions. While individual marine specifications and customer requirements vary, our close tie to the offshore sector ensures we are able to manufacture and deliver projects, big or small. R Baker (Electrical) Ltd manufacture and repair a wide range of products for the international marine industry including: transformers, motors, coils, electronics and control systems. Our team of specialist engineers has provided subsea and offshore engineering solutions to the international market for use on commercial vessels, ocean-going yachts, specialist marine vessels and oil platforms. All of our electrical equipment can be supplied for use in hazardous areas, no matter how arduous the conditions. All of our marine and offshore products pass through our quality control system and are tested and approved to the highest national and international standards using state-of-the-art equipment. Test authorities include Lloyds and DNV. R Baker (Electrical) Ltd is quality approved by BSI, ISO 9001 and Ministry of Defence AQAP-1. Our investment in new methods and technologies allows us to offer expert reliability when repairing or manufacturing any new products for a client base that demands precision throughout every element of their systems. VT Shipbuilding launched Mirabella V in 2004. 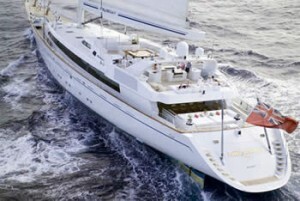 At 246ft she is the world's largest single masted yacht, and the biggest composite ship ever built. She is currently in service as a chartered vessel, operating mainly in the Mediterranean and Caribbean.VT Shipbuilding became a partner of ours through our strong ties with military ship-building, which has followed through to BAE systems. 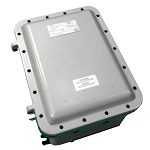 We were commissioned to produce battery chargers for the Mirabella V to exact specifications. Our engineering team has a vast amount of experience manufacturing hazardous area transformers and now has a dedicated in-house hazardous area manufacturing team. 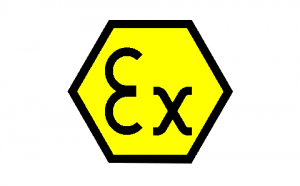 We design, manufacture and supply an extensive range of ATEX, IECEx and FM certified transformers for use in gas and dust hazardous areas. ISO 9001 is the internationally recognised standard for quality management systems. 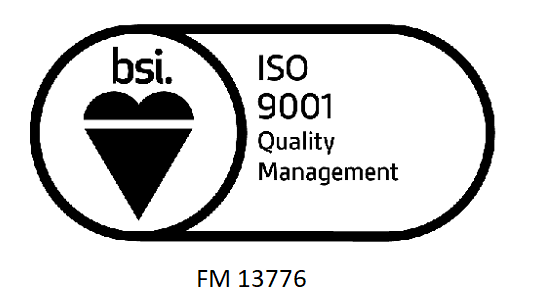 Being certified to ISO 9001, R Baker (Electrical) Ltd demonstrate a commitment to quality management and continual improvement, ensuring that the needs and expectations of our customer are met. R Baker (Electrical) Ltd achieved certification to ISO 9001 in 1991. 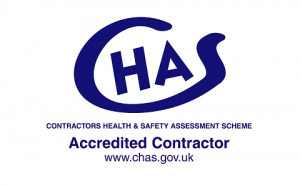 Being accredited by The Contractors Health and Safety Assessment Scheme (CHAS) ensures we always work within and maintain industry standard health and safety methods. As an independent governing body, CHAS are aiming to improve industry wide health and safety standards across Great Britain. We work with leading certifying bodies when specific standards are required, helping ensure that internationally recognised safety and environmental standards are maintained at with hazardous atmospheres delivering IECEx, ATEX and DSEAR certification to customers around the world. Our team offer excellent customer service from quote through to after sales services.